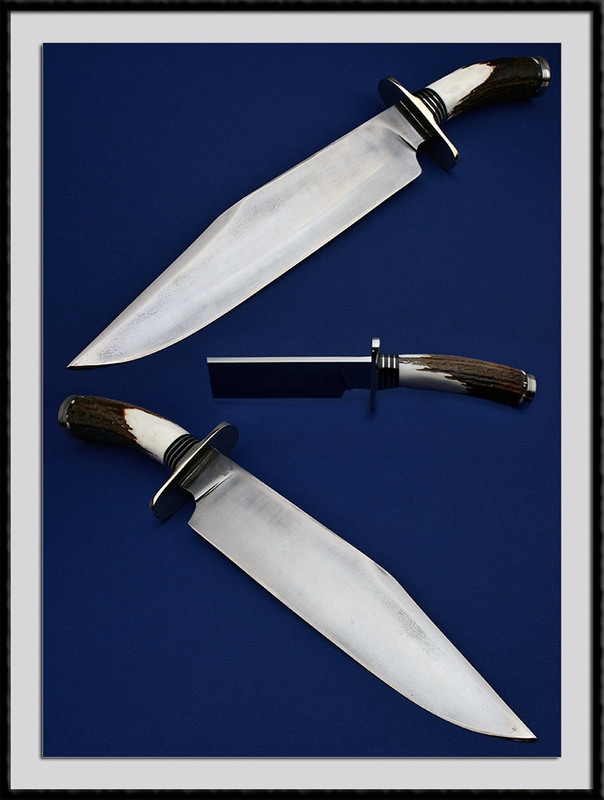 Crafted by Ott Knives from Elgin Texas (not to be confused with Fred Ott out of Colorado) this "Long Bow" bowie has a Hand rubbed Flat ground Blade steel of D2 from 1/4" stock, BL = 11 1/2”, OAL is 17", Nickel Silver fittings and a Sambar Stag handle accented with Black-Nickel Silver spacers. Top shelf fit and finish. Condition is near Mint with some tarnishing that can be seen in the picture. No sheath.